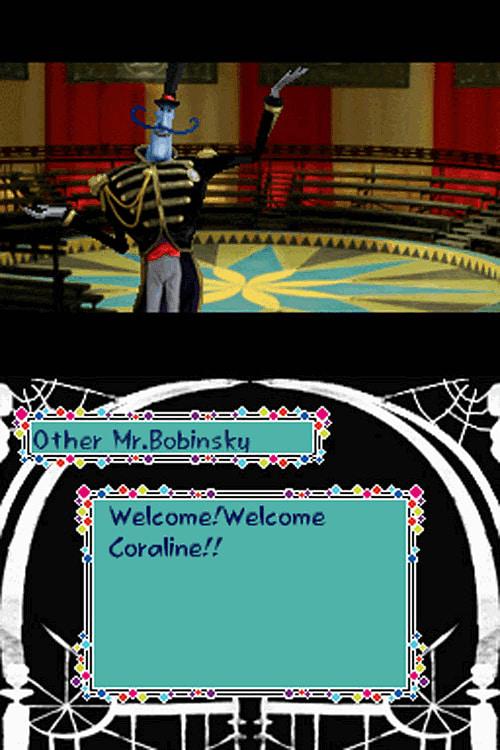 The official - and only - videogame based on the movie, Coraline lets players take on the role of the adventurous heroine Coraline and interact with the wondrous characters from the movie. 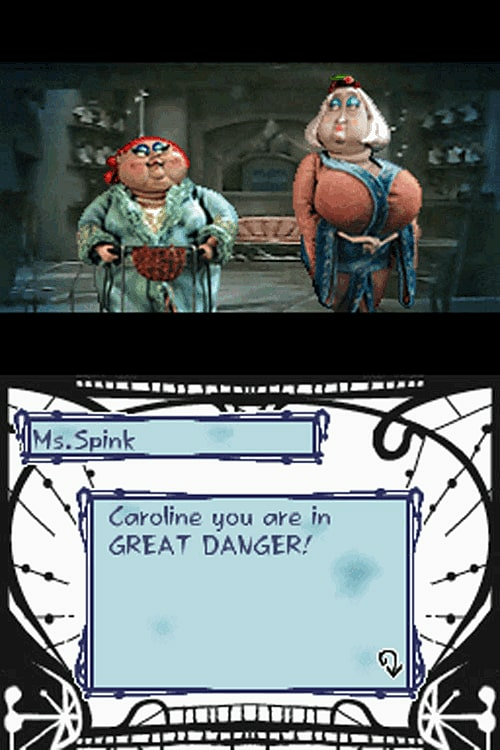 Players will unravel the scheming Other Mother’s web of deceit in a fantastical adventure through two distinct and interactive worlds as they explore immersive 3-D environments from the movie such as the Pink Palace, with its nooks and crannies and apartments, and the whimsically fantastic 'other' versions in the Other World. 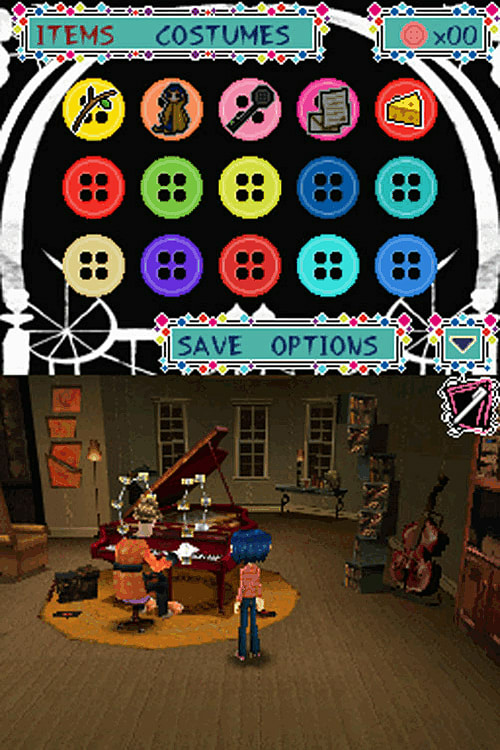 Players will enjoy unique mini-games and solve puzzles with Coraline’s friends Wybie and Cat as they collect items that will help them unlock the mysteries of the Other World. Play One-of-a-Kind Mini-Games and Puzzles Inspired by the Movie – Players will take full advantage of the DS hardware capabilities and Wii Remote functions as they play multiple puzzles and fun, replayable mini-games – challenge yourself with Bobinsky’s Amazing Beet Juggling or conduct the Jumping Mouse Circus Symphony! 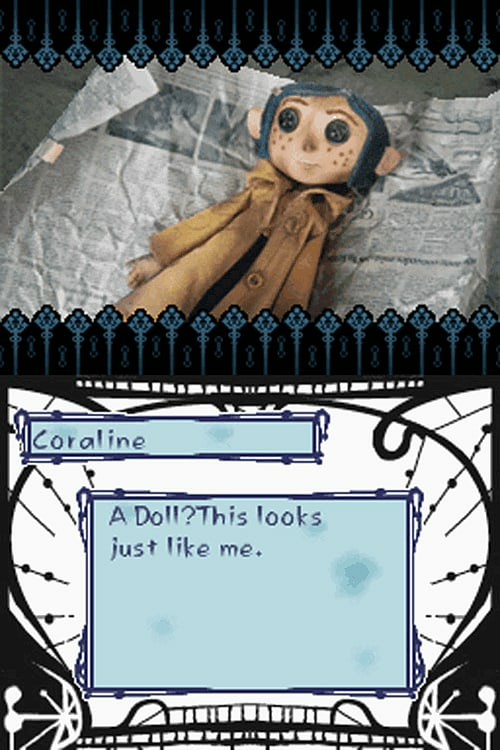 Find Hidden Collectibles to Unlock Unique Items – Players will have their own scrapbook to fill with collectible items and photos as they earn buttons to unlock outfits for Coraline. 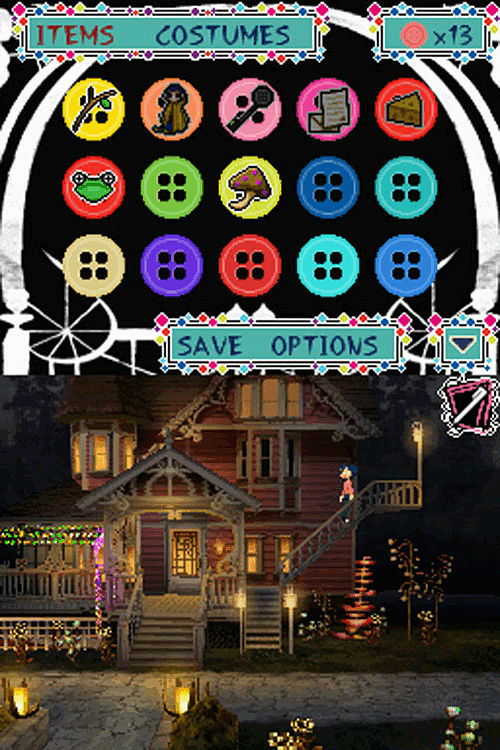 DS players can unlock and mix ‘n match outfits to customize Coraline’s look. 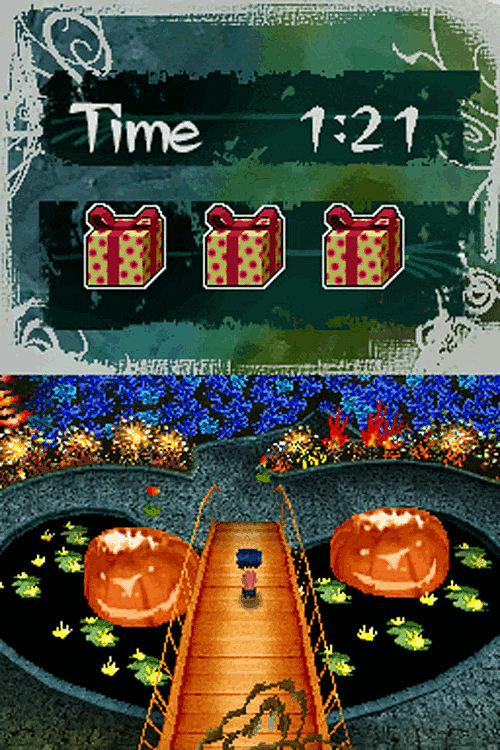 Players will also unlock exclusive content from the game such as concept art and character renders. Exceptional Level of Authenticity – The game’s art style and sound effects are 100% authentic to the movie and bring the personality of the movie’s unique cast of characters to life.